Newcastle has been spoiled lately with what can only be described as something of a culinary renaissance. 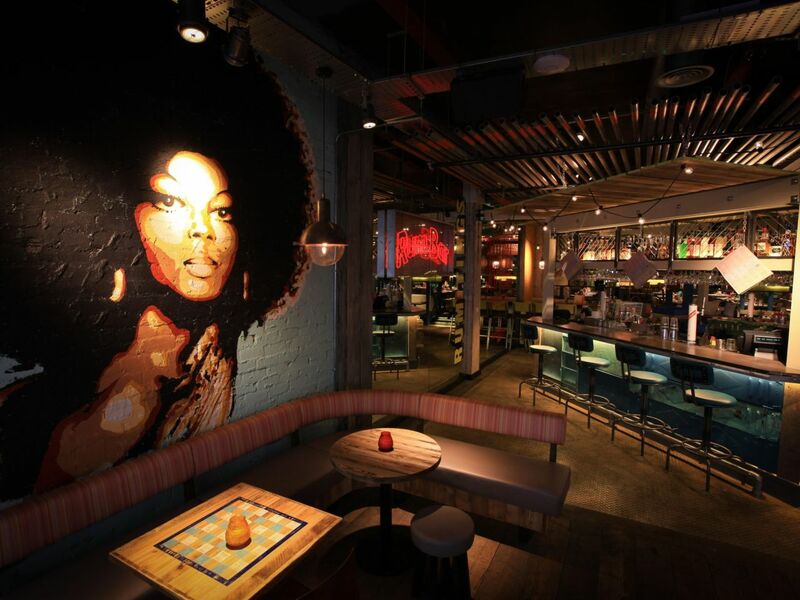 One of the city’s brightest new venues is Turtle Bay. Housed in the old Co-op building near The Gate this Caribbean restaurant is proving hotter than a pool party at Rhiannas house. If you’ve never eaten West Indian food before it certainly is unique with its blend of herbs, spices and plenty of the wonderfully fruity and incendiary Scotch Bonnet chillies. I popped along there pretty early at 6.30pm with a colleague from work half expecting the restaurant to be relatively quiet. Not a bit if it! It seems that the diners of Newcastle have really taken to this slice of Island cuisine. You walk in and the restaurant is bustling with diners, cocktails, rum and reggae! 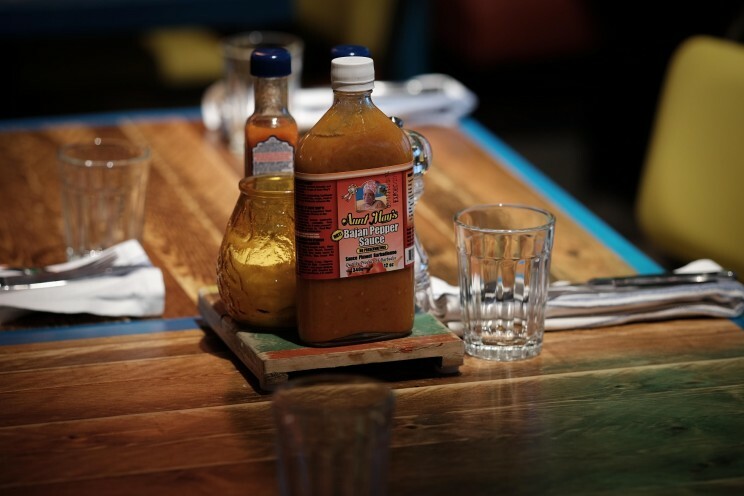 If your’e looking for a romantic quiet meal for two then this restaurant is probably not for you but if your preference is for something a little more energetic with music and drinks to match your mood then Turtle Bay is definitely worth a visit. We were promptly seated and drinks ordered it was time to peruse the menu. While the food is not all heavily spiced their motto is “We like it hot” so if your palate is a little more Chicken Tikka than Lamb Madras it might be worth asking the attentive staff what to go for, which incidentally they are more than happy to do. I ordered 24 hour Jerk marinaded pork ribs and Curry Goat and my colleague opted for Island Whitebait and what turned out to be the star of the show the Jerk Pit Barbecue Pork Belly. When you are sat at the table you have what looks more like a tea-towel than a napkin sat next to your cutlery…. When you tuck in to the food it becomes apparent that it is for the inevitable chilli induced beading of your forehead! The ribs predictably fell from the bone and was accompanied by a sour orange chutney which just offset the slight fattiness that ribs often deliver. When you take someone along to review a restaurant it is always an opportunity for dining etiquette to be thrown out of the window and to try more dishes for your money. There’s nothing worse than food envy. We have all had it. When your food arrives only to be made to look like something Oliver Twist would turn his nose up at by your dining partners dish. I have to say I’ve always liked Whitebait. They aren’t everyone’s cup of Earl Grey but these were crispy and accompanied by a refreshing coriander and lime mayo that just hit the spot. When you think of Caribbean food you’d probably think rice and peas or curried goat. I hadn’t tried it before but I felt compelled to. The curry came served in an earthenware pot accompanied by rice, sweet potatoes and fried dumplings. The heat from the Scotch Bonnet definitely kicked up a notch or two from the starters but was tempered slightly by the sweet potato that had a citrus and ginger edge that worked really well in cooling your mouth. It is hard to describe goat meat but if you think of a slightly lighter version of lamb you wont be far off the mark. Enter the 24 hour marinaded pork belly… It looked good when it arrived but it tasted bloody great. It cut almost like fish it was that tender and the jerk seasoning coupled with the slight char from the grill was a total winner. It came with some crackling that let’s face it everyone bar denture wearers love, sweet onion chutney and fresh green seasoning. I had filled my belly to such an extent that I only had room for coffee but again the benefit of reviewing with a dining partner rewarded me with a couple of spoons full of an excellent dessert of Grilled sugared pineapple, rum caramel sauce, coconut ice-cream & shavings. If you have had a good whack of chilli heat from your starter and main this is a great way to finish. So how would I sum up Turtle Bay? If you want a lively night out full of spice, rum, beer, cocktails and a little Bob then please give it a go. If I was to go back again (and i will) I would say the whole atmosphere of the restaurant lends itself to bigger groups but with our meal coming to £45 it is reasonably priced and offers something different from the other grill houses in Newcastle at the moment.